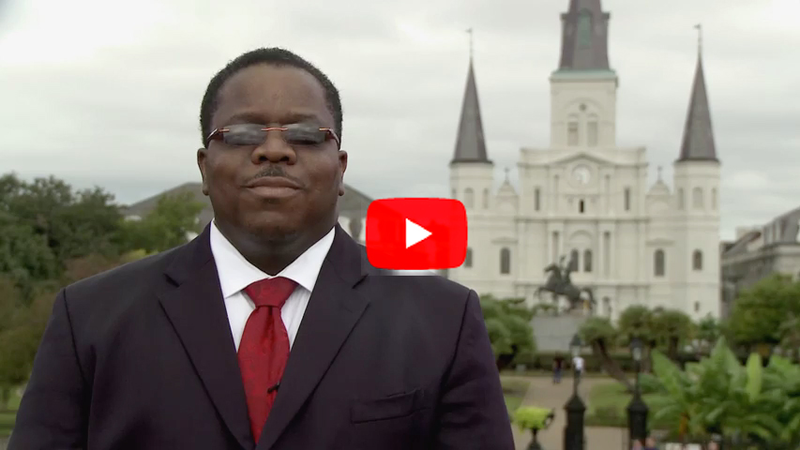 President and Chief Executive Officer of Daughters of Charity Services of New Orleans, welcomes prospective applicants to work in a health ministry that is committed to strengthening health care in the greater New Orleans community. Please put the position title that you are applying for in the subject line. Only applicants selected for an interview will be contacted. Daughters of Charity Services of New Orleans is an Equal Opportunity Employer and we do not discriminate against applicants due to race, ethnicity, gender, veteran status, or on the basis of disability or any other federal, state or local protected class. DCSNO, a non-profit health care organization, is currently hiring for the positions listed below. To apply for any of these positions, please forward your resume to humanresources@dcsno.org. DCHC is seeking a full-time Vice President of Population Health and Quality Management (PH/QM). The VP for PH/QM, works in partnership with the Chief Nursing Officer and reports directly to the Chief Medical Officer with matrixed accountability to the Chief Operating Officer. This position is responsible for the Management of Quality Improvement program and the general success and performance in achieving operational and financial Population Health objectives for all enrolled patient populations. This includes, but is not limited to, Medicaid and Medicare MCO’s and ACO’s. The VP of Population Health and Quality Management will be responsible for training, feedback and interventions with access and clinical teams to provide the highest quality care, outcomes, and satisfaction of all active patients. This position is responsible for the overall strategy and leadership of care management programs including population health management and quality management. Will also manage existing care management payer relationships and implement and manage a population health and quality program with the goal of lowering the cost of healthcare for our patients and improving outcomes through advocacy, partnerships and innovation while maximizing payer incentives for improving outcomes. Formulates and implements a strategic plan which will grow population health service capabilities. Builds relationships with health systems and other community resources to partner on initiatives to improve patient health. Evaluates all available sources of data, both health plan specific and publicly available data to drive decisions and prioritize patient outcomes. Manages and establishes programs and systems to improve HEDIS and other quality measures. Support leadership team in developing and executing the Population Health strategic plan across operations and financial performance. Analyze data and reports for operational and financial insights and trends; and support field team in disseminating and communicating relevant information for teams, sites, and organizations overall. Facilitate cross team collaboration and learning. Collaborates with Medical Coders to ensure that coding aligns with health plan requirements. Overseeing post-acute care management of third party services providers in an effort to reduce inpatient readmissions and emergency room utilization. Outreach to assigned patients who have been seen in our facilities. Correct attribution of patient panels with plans. Develop and implement training program for both clinical and support staff on the tools used in the Quality Improvement program, in conjunction with Ascension Health’s Aim4Excellence program and other resources that may become available. Work with organizational and site-specific teams to optimize workflow to achieve identified goals, as well as secondary process measures that may be needed to assure adherence to the model. Oversees outreach to patients who are overdue for preventive services and chronic illness care. Provides maintenance of CDS functions in EMR [alerts, order sets, workflows] to ensure that gaps are closed during visits. Bachelor’s Degree in business administration, healthcare administration or similar field, MHA, MPH, RN/MSN preferred. To apply for this position, please forward your resume to humanresources@dcsno.org. Please put the position title that you are applying for in the subject line. Only applicants selected for an interview will be contacted. No phone calls please. Daughters of Charity Health Services is seeking a fulltime Vice President of Human Resources and Organizational Development. This position reports to the CEO of DCHC. The Vice President of Human Resources and Organizational Development (VP HR) will serve as a key member of the Executive Leadership Team and contributor to the overall management of DCHC in accordance with the mission, values, policies, practices and strategic direction of the organization in accordance to the laws, regulations and rules of regulatory bodies. This hands-on position will develop all HR policies, services, operations, and programs in coordination with the CEO while consulting with senior leadership on a broad array of issues related to the organizations human capital and organizational development. The VP HR will establish a program based on best practices and create an HR department that provides excellent consultative, strategic and operational services. Develops organization strategies by identifying and researching human resources issues; contributing information, analysis, and recommendations to organization strategic thinking and direction; establishing human resources objectives in line with organizational objectives and the organizational strategic plan. Implements human resources strategies by establishing department accountabilities, including talent acquisition, staffing, employment processing, compensation, employee benefits, organizational development and training, records management, safety and health, succession planning, employee relations and retention, AA/EEO compliance. Manages human resources operations and capital by innovative approaches to recruiting, selecting, orienting, training, coaching, counseling, and evaluating staff; planning, monitoring, appraising, and reviewing staff job contributions; maintaining compensation; determining production, productivity, quality, and customer-service strategies; designing systems; accumulating resources; resolving problems; implementing change. Work with executive leadership to align financial strategies. Helps build a high-performing culture of innovation, accountability, and collaboration embedded in a foundation of honesty and integrity. Accomplishes special project results by identifying and clarifying issues and priorities; communicating and coordinating requirements; expediting fulfillment; evaluating milestone accomplishments; evaluating optional courses of action; changing assumptions and direction. Guides management and employee actions by researching, developing, writing, and updating policies, procedures, methods, and guidelines; communicating and enforcing organization values. Updates job knowledge by participating in conferences and educational opportunities; reading professional publications; maintaining personal networks; participating in professional organizations. Develop appropriate policies and programs for effective management of the people resources of the corporation. Included in this area but not limited only to the following would be programs for employee relations, affirmative action, sexual harassment, and employee complaints. Enhance and/or develop, implement and enforce human resources policies and procedures of the organization by way of systems that will improve the overall operation and effectiveness of the corporation. In particular, manage the human resource information systems database and necessary reports for critical analyses of the HR function and the people resources of the corporation. Develop corporate staffing strategies and implementation plans and programs to identify talent within and outside the corporation for positions of responsibility. Develop progressive and proactive compensation and benefits programs to provide motivation, incentives and rewards for effective performance and to provide programs that utilize an employee and company partnership for the short and long-range health and welfare protection of the employees. Bachelor’s degree in Organizational Design, Business, HR or another relevant field; Masters preferred; appropriate HR certifications preferred. 15 years of Human Resources management experience, with 5+ years in an executive leadership role directing HR/People Ops/Talent Acquisition teams in high growth companies; healthcare organization experience preferred; Board level experience a plus. Must have competency in all Human Resources functions to include: recruitment and selection; compensation and benefits; budget management; professional development, training, succession planning, performance management, and employee relations; safety; policies, procedures, and legal regulations; and EEO, ADA and Title IX compliance. Experience in HRIS Systems, Payroll software, Compliance, and other applicable software. Experience leading training and training programs including management training, technical training, onboarding, and guiding leadership through decisions on workforce development and the budget and systems to support. Strong, resilient, results-driven, and self-directed leader with personal commitment to excellence. Collaborative management experience - must be capable of forging relationships across groups and have the ability to negotiate and distill requirements. Proven leadership through organizational change with the ability to drive adoption, assist leaders in change management, foresee potential consequences and guide the senior leadership team accordingly. Knowledge of best practices regarding human capital, business strategy, corporate communications, human relations, training and development, engagement. Possess exceptional written and verbal communication skills, including the ability to articulate recommendations in a concise and timely manner. An ability to adapt your approach to the audience, anticipating impact of words and actions, preparing for possible resistance and responding in an appropriate style, using a range of influencing styles. DCSNO is seeking full-time Community Health Navigator I to act as coordinator and liaison between the patient and/or community member, with gaps in care including Health care and other social determinants of health services within the community. The goal is to improve wellness and autonomy for individuals served, both from DCSNO/DCHC patient population and the general community. This is a temporary assignment scheduled to run through December 31, 2019. Create opportunities of Memorandums of Understanding with other community organizations. May require certifications and further training. Coordinate and provide resources to the community. Reach or exceed monthly Case closure quota. Follow up with patients via phone calls, “in community” and “In home” visits. Maintains a high level of ethical conduct regarding confidentiality. To apply for this position, please forward your resume to humanresources@dcsno.org. For Internal applicants, in the subject line of your email, please type “Internal”, and the position title that you are applying for (ex. Internal, Patient Access Representative). Only applicants selected for an interview will be contacted. No phone calls please. DCSNO is seeking full-time Community Health Navigator II to act as coordinators and liaisons between the patient and/or community member, with gaps in care including Health care and other social determinants of health services within the community. The goal is to improve wellness and autonomy for individuals served, both from DCSNO/DCHC patient population and the general community. Attend regular staff meetings, training's and other meetings and community events as requested. This is a temporary assignment scheduled to run through September 30, 2021. Attend regular staff meetings, training's and other meetings as requested. Knowledgeable about community resources appropriate to needs of patients/families. May require certifications and further training in assisting members of the community to either enter our patient system or apply for programs of health coverage. DCSNO is seeking full-time Community Health Navigator III to supervise Community Health Navigator program in coordinating program services between the patient and/or community member, with gaps in care including Health care and other social determinants of health services within the community. The goal is to improve wellness and autonomy for individuals served, both from DCSNO/DCHC patient population and the general community. Assists Director in development, implementation, and evaluation of ongoing service programs that ensure quality Community and Patient Care is consistent with DCSNO’s mission. Oversees Care Fellowship weekly reports and monitors individual team member case load growth. Responsible for promoting the program’s operational excellence; ensures that the department delivers quality services in accordance with applicable policies, procedures and professional standards. Attend regular staff meetings, training's and community meetings as requested. Bachelor Degree preferred with 3+ years of Case Management, Team Leadership with supervisory over site experience, or 5+ years Case Management experience in lieu of Degree. DCHC is seeking a full-time Health Information Manager (HIM) to supervise release of information, inpatient and outpatient scanning and computerized medical record systems. The HIM is responsible to oversee the day to day operations of the department to ensure proper distribution of assignments to maximize productivity and cost effectiveness within a high quality medical delivery system. This position will perform all normal supervisory responsibilities of hiring, training, coaching and evaluating employees. Supports staff as needed to ensure all operational activities are completed daily. Review all medical documents prior to releasing from the agency. Responds to patient, clinician and family requests; investigates/documents complaints. Consistently and effectively implements and monitors policies, workflows, and training. Monitors payroll and overtime management. Reviews for accuracy and approves time. Managing and maintaining all patient medical records information, ensuring compliance with all state and federal laws, rules/regulation of licensing agencies and within HRSA standards. Assures availability of the medical records at all times. Collaborate with clinical departments, providers, and external entities to maintain effective HIM Operations. Monitors various reports and other management tools to ensure production volumes, turnaround times, or targets are met. Performs quality improvement audits to ensure departmental accuracy rates are met. Working knowledge of functional relationships between departments within a healthcare setting or similar environment. Knowledge of information privacy laws, access, release of information, and release control technologies. Knowledge of hospital protocols and procedures to assist the facility in efficient operations. Follows appropriate policy and procedures with regards to all Health Information Management Operations as consistent with facility’s policy and values. Bachelor of Science degree and 5 years of experience (one year of experience in a supervisory position). Will consider a candidate with an associate degree and ten years of experience (two years of experience in a supervisory position. Demonstrated knowledge of computer technology and preferred knowledge of MS Office including Word, Excel, and PowerPoint. Highly motivated, self-directed and able to work independently with minimal supervision. Working knowledge of standards and legal requirements for behavioral health, clinics, and pediatrics. Demonstrate the ability to identify and resolve issues independently and communicate effectively with other team members and management. Certification in Electronic Health Records Specialist and/or other Health Information certifications considered. DCHC is seeking a full-time Health Information Specialist. This position gathers information, maintains record requests, retrieves records, and disseminates records in accordance with HIM, HIPPA, HITECH, and DCSNO requirements. DCSNO is seeking a full-time Clinical Analyst and Application Trainer. The Clinical Analyst and Application Trainer is primarily responsible for design, build, testing and installation support of clinical software applications (Dental. Medical, Optometry, Pharmacy) and training for all applications. The position will assist with developing content for trainings related to applications both clinical and non-clinical and assist with administration of Learning Management Systems. The position will assist with day-to-day operations of clinical applications. The successful candidate must have a proven track record of mentoring and fostering collaboration across inter-disciplinary team. Responsible for day-to-day management of project work streams associated with the Electronic Health Record (HER) and other application. This includes the development, maintenance, support and enhancement of clinical applications. Documents interactions with various service lines and providers to confirm needs are met, reporting issues to other teams as needed. Coordinates provider and practice service requests and incident resolutions through the Service Desk. Reviews problem tracking databases and has the ability to track and analyze metrics. Conducts problem analysis, timely and accurate resolution, and root cause analysis for complex ambulatory EHR issues and requests. Escalates and works with enterprise subject matter experts and integrated support team resources to identify trends and manage resolution of EHR application issues and requests. Monitors and communicates trends and issues that may affect administration/provider relationships, regulatory compliance, and quality initiatives. Responsible for planning, coordinating, developing, tracking and delivery of training for providers and practice personnel on ambulatory EHR technologies and supporting systems. Previous experience managing electronic health record or applications required. Excellent problem solving, analytical and time management skills. Data Analyst gathers and analyzes healthcare data from multiple sources. Including, but not limited to, SQL databases, clinical quality date and other data sources. The analyst extracts trends and business insights from data to assist the organization. In this position, the analyst will assist with presentation of the data various business units. The analyst will lead and develop business intelligence platform for databases and applications in use. Lead and facilitate data submission for federal reports and other reporting requirements across the agency. The analyst will conduct full lifecycle activities to include requirements analysis and design, develop, publish distribute and monitor data and reporting solutions. Build data models that capture wide range of healthcare operations and analyze data for executives, departments, managers, providers and other internal resources. Prepares the data capture tool process making necessary changes to Stored Procedures and final reports to reflect the evolving requirements dictated by stakeholders. Troubleshoot errors that occur as a result of changing requirements and validate end results. Design, build and automate patient matching and attribution processes using techniques ranging from simple demographic based to building unique identifiers through various variables. Develop, implement and maintain processes for data cleaning, data import/export and analysis. Performs process documentation management including coding, reporting and report execution instructions along with guide for understanding data. Administers internal enterprise reporting system monthly, quarterly, and annual reporting needs along with calendar of activities for data. Bachelor’s degree in Analytics, Biostatistics, Economics, Computer Science, Information management or equivalent required with 5 years’ experience in database management, Statistics, Analytics, Business Intelligence and Reporting using analytical tools such as Azara, Tableau, SAS, SPSS, STATA, Power View, Power BI. Master’s degree in Public Health, Biostatistics, Epidemiology, Statistics, Economics or equivalent required with 2 years of experience managing, database, Statistics, Analytics, Business Intelligence and Reporting using analytical tools such as Azara, SAS, Tableau, SPSS, STATA, Power View, Power BI required. One year experience of analyzing data from disparate and heterogenous sources required. Experience with geo-mapping and geo-spatial analysis preferred. Certification in SAS /STATA/SPSS preferred. DCSNO is seeking full-time Patient Care Coordinators (PCC). The PCC will work closely with the Nurse Care Manager in the health centers. Communicates with external entities to schedule referrals for diagnostic tests and consults. Retrieves tests results and consults and ensures the information is scanned into the Electronic Medical Record. Communicates and notifies patients about appointments with external facilities. Obtains Prior Authorizations for diagnostic tests and medications where applicable. Helps to problem solve various issues as they relate to the delivery of patient care and referrals. Informs the provider of challenges and issues regarding diagnostic tests and consults. This position will also be responsible for assisting DCHC providers in delivering quality health care to patients and their families. Assists the care team in meeting requirements for Meaningful Use and National Committee of Quality Assurance. Preferred: At least one year experience with Electronic Medical Records. Bilingual individuals are encouraged to apply. DCSNO is seeking a PRN Dental Hygienist for Community Health Clinics. The Hygienist will provide the most efficient dental care for our community as possible. The Hygienist is primarily responsible for all oral hygiene and education procedures. Improve the oral health of patients through the delivery of periodontal therapies and other dental hygiene-related services. We are an Equal Opportunity Employer and do not discriminate against applicants due to race, ethnicity, gender, veteran status, or on the basis of disability or any other federal, state or local protected class. DCSNO is seeking a full-time Administrative Assistant to provide clerical support for the corporate office. Establishes, develops, maintains and updates filing system. DCSNO is seeking a full-time Patient Access Supervisor for busy dental practices in our FQHC Community Clinics. Under the supervision of the Director of Dental Operations, the Dental Supervisor is responsible for general training and oversight of the processes and procedures performed by the Patient Access Representatives. This employee serves as a resource for both the front office collection of patient information as well as the accurate completion and entry of charges. Provides oversight and guidance to Patient Access Representatives with regard to front office procedures and data input, correcting errors or problems, and identifying areas where further training would benefit the department. Travels to all dental clinics as needed to assist during planned or unplanned staffing shortages. Assists in the training of all new and current staff in charge-entry and batch procedures to ensure appropriate and efficient patient billing. Monitors the scheduling of patients for appropriateness, production and efficiency, following guidelines set forth by the Director. Trains and assists staff in following pre-authorization protocols. Follows lab cases as needed to ensure efficiency and convenience for both the patient and the dentist. Ensures that referral requests are submitted to insurance companies appropriately or as directed by the dentists. Follows up as needed with the patient for further treatment. Performs other duties as assigned or requested. Proficient verbal and written communication skills. High degree of confidentiality, integrity and professionalism. Ability to multi-task and set priorities in an ever-changing environment while maintaining a calm, professional environment. Demonstrate initiative and judgement in problem solving. DCSNO is seeking a full-time Pharmacy Technician for the Community Medical Clinics. The pharmacy technician will assist the pharmacist in the areas of prescription filling, prescription distribution and clerical activities while under the pharmacist’s supervision at all times. Certified Pharmacy Technician: Current Louisiana State Pharmacy Technician License with evidence of continuing education completed. DCSNO is seeking a full-time Family Medicine/Internal Medicine Physician to provide medical care, and therapeutic management of acute and chronic illness in a clinic setting Family Medicine/Internal Medicine Physician is comprehensive in scope and includes the overall coordination of the patient’s health management, preventative or curative, whether physical, behavioral and sociologic in nature, and works closely with in-house specialists and hospitals in order to deliver high quality health care to the community. Assumes overall responsibility for patients receiving care in the Clinic. Works in tandem with other departments to ensure a collaborative, team-oriented environment. Conducts histories, physical exams and prescribes medical treatment. Develops treatment plans in collaboration with patients, as well as educates and advises patients on medical issues. Provides referrals, both internally and externally, to appropriate medical resource or specialty. Evaluates the effectiveness of medical care and monitors progress of patients. Identifies emergency situations, and provides care within the legal scope of practice. Participates in the incident/occurrence reporting process, being mindful of risk management and mitigation, quality, compliance and client relationships. The position requires going through lab reports, signing off on documents (consultation reports, radiological reports, prior authorizations) and prescription renewal. MD/DO from an accredited University and pending/active State Medical Board license or Medical Board License Eligible. Board Certified / Board Eligible. Powered by en masse•MEDIA | integrated communications Click here for a public information message. Get help with life's basic needs.